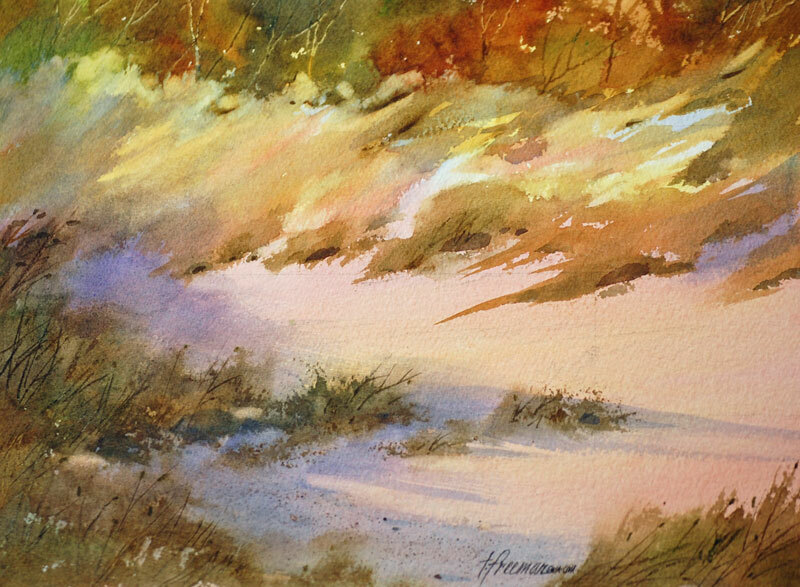 Thomas Freeman Original Watercolor Painting: "One Place No One Knows"
Sometimes when walking in the fields, woods or sand dunes, you come across a spot that seems so remote, you wonder if anyone knows about it. The long shadows show that it is late in the afternoon and a quiet scene- no wind even. This was painted wet with drybrush at the end.